Today, we’re going to look at one of the lesser known decks of the format, but one that can pack quite the powerful punch. That deck is Weavile/Exeggcute, a concept that has been around since Weavile and Exeggcute both came out in Plasma Freeze last Spring. The core concept of the deck is to continuously use Weavile’s Villify attack to OHKO anything that your opponent sends up. 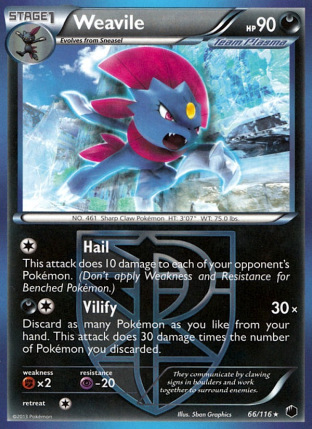 Weavile’s Villify attack does 30 damage times the number of Pokemon you discard using the attack, so if you discard 6 Pokemon, then you do 180 damage, good enough to KO any threat in the format. But wait, discarding that many Pokemon can’t be sustainable, right? Well it is, thanks to Exeggcute’s Propogate Ability. You want to get Exeggcute into the discard pile early so you can keep using them, and if you can get all 4 of them in the discard, that’s a solid 120 of your desired 180 damage figure right there. Of course, not everything in the format has 180 HP, so for some things you’ll only need to discard one extra Pokemon in addition to the Exeggcutes. For anything 120 HP and below, you can solely use Exeggcute for the KO’s. So how does this all come together into a usable deck? Let’s take a look. This is one of the weirdest lists you might ever see, but test it out, and you’ll see the concept does come together and seemingly works. I think we have what Weavile and Exeggcute bring to the deck, but I’ll go over the other card choices for the deck, as they are important for how the deck functions. This deck runs a lot of Pokemon. Weavile’s Villify attack wants to keep discarding Pokemon beyond just discarding Exeggcute, so you play a bunch of other Pokemon in thick counts to provide discard fodder, while simultaneously providing a benefit to the deck in some other way. As the deck runs a very frail attacker in Weavile with only 90 HP, you have to do everything to keep your Weavile’s alive. With such low HP, bench sniping attacks like Night Spear, Hammerhead, and Frost Spear can quickly add up a ton of damage and knockout your Weavile’s before you attack. Therefore, having Mr. Mime down in these matchups is very important. As the deck wants extra Pokemon to discard, you’re able to bulk up your Mr. Mime count in the deck, which pretty much assures that you’ll always have Mr. Mime when you need him. This deck needs to have its foot on the pedal non-stop. For that reason, you need to get off to your desired start, as well as keep momentum going throughout the game. 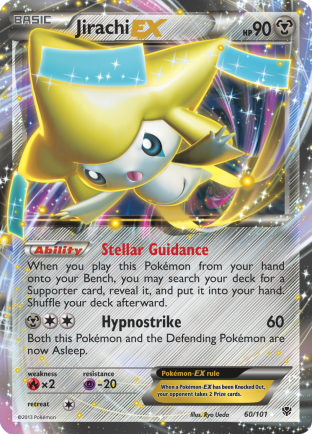 With 3 Jirachi EX, 8 balls, 1 Tropical Beach, and 8 desirable Supporters for turn 1, you have a whopping 20 outs to something that can get you going on turn 1, that’s 1/3 of your deck, you should be good on getting off to a solid start with all that support. Jirachi EX is only mildly a liability in this format. 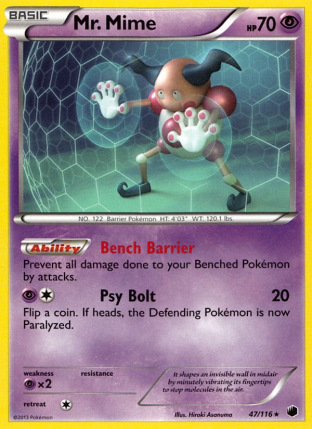 As most decks don’t run Pokemon catcher anymore, in most matchups it can just sit safely on the bench all game. Against Genesect EX, you can generally take the first knockout, so as long as you stay ahead in the prize exchange you should be fine, as you’ll be knocking out EX’s against them most of the time. In general, I tend to use 2 Jirachi EX throughout the game. Usually one to get things going, and another one to keep momentum either mid or late game. This might be one of the weirder card choices upon first glancing upon the deck. It really can be any of the fossil guys, but I like Archen just because it’s the cutest Pokemon of the bunch, and once they see everything else in their deck, they will already know that you aren’t actually threatening to use an Archeops or Cradily (as they would serve no purpose with the rest of your deck), so for those who aren’t aware of what makes this card good in this deck, they will just be left scratching their head as to why you chose to include it. This isn’t a bad thing. If they’re wasting mental processes on trying to figure out why you would include such a card, it can cause them to lose focus and make misplays. Additionally, if they don’t waste mental processes on it, they could consider you bad for just including a seemingly bad card in your deck for no reason and let their guard down. However, this card does serve a purpose for you. 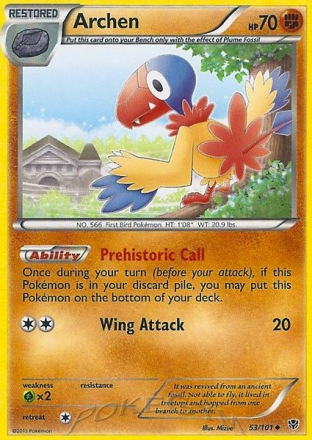 Archen has an Ability called Prehistoric Call, which lets you put it back on the bottom of your deck. First, it gives you a Pokemon to discard that you can get back into your deck without having to use a bunch of Super Rods to do so, and with space at a premium, you can’t afford to run 3-4 Super Rod to keep putting Pokemon back in, so Archen provides you a Pokemon that you can do so with every turn. As soon as you or your opponent plays something that forces you to shuffle your deck, you can draw into Archen again. Secondly, as this deck is very discard heavy, you can use Archen to prevent yourself from decking out. So many times in playing this deck I’ll draw out my deck with a Juniper or Colress and then use Prehistoric Call afterwards to prevent myself from decking. You still have some room for extra Pokemon to discard in the deck, so alternative attackers can be put in here. I’ve messed around with Darkrai EX for free retreat, and that wasn’t very needed, and Absol for another attacking option, but I don’t like Absol as much as an attacker without the support of Lasers and Dark Claw. I decided on Sawk, since Darkrai and Plasma decks can easily go to Absol as a non-EX attacker to deal with your Weavile’s, and if you whiff Dark Patch or such, they can rip through quite a few Pokemon. Sawk gives you an easy answer for responding to Absol, and in the Plasma matchup it can even 2HKO a Thundurus EX for you. Sableye DEX is just good in general. 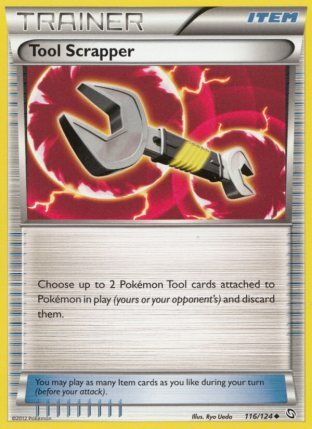 It can help you get back important resources, for example Tool Scrapper against Garbodor decks. Additionally, it can be used to aide in setup when you don’t have access to Beach for a turn. I don’t use Sableye much, but when you do, it can win you the game just by giving he deck some extra versatility and recycle of resources. I don’t think there is too much to say about the Items in the deck. You have Dark Patch to gain on Energy attachments to power up Weavile for attacking, and lots of balls to get your Pokemon out. 4 Ultra Ball lets you discard your Exeggcutes pretty well during setup to be Propogated later. 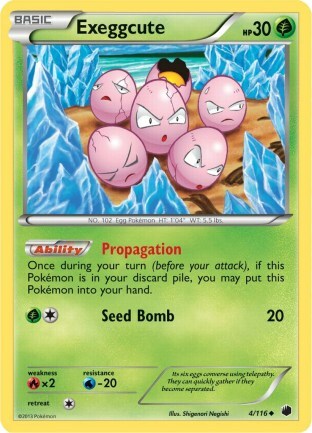 Having the Ability to use multiple Propogates in a turn can help the deck conserve resources since you won’t have to discard anything except Exeggcute to use your discarding Items, but you can also discard Dark Energy or excess stuff that won’t be needed for a matchup as well, even when Exeggcute is available for Propogation. 2 Tool Scrapper gives the deck a fighting chance against Garbodor decks. 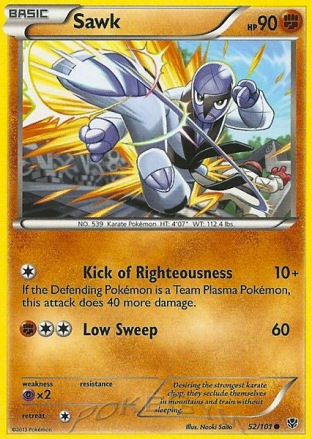 You have Dowsing Machine for a third Tool Scrapper, and Sableye’s Junk Hunt to get them back as well, so you aren’t just completely out of luck in that matchup, but it is difficult because so much of the deck is based around using Abilities. 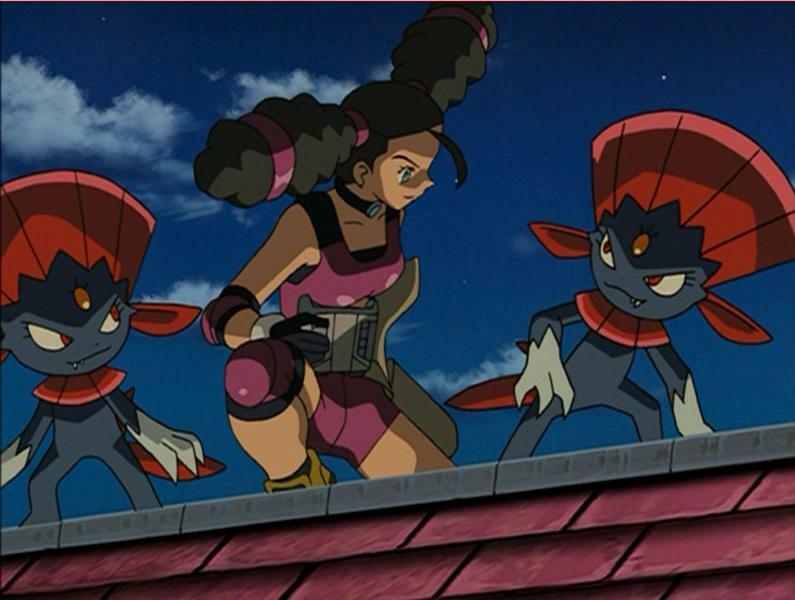 Additionally, as Weavile is a Plasma Pokemon, getting rid of Silver Mirror is also very important for the deck to do. Silver Bangle adds 30 damage against EX heavy decks without making you discard extra Pokemon to do so. This can make a difference in games where some of your Exeggcute are prizes. I don’t expect this deck to be a major player come Regional Championships, because even with all the outs to Supporters and what not, if you don’t hit Dark Patches at the right time, or don’t draw into the right cards, it still is prone to whiffing. The deck also has some issues with Garbodor. Tool Scrapper helps somewhat, but it is still a very difficult matchup. Gothitelle/Accelgor decks are also a very difficult matchup. A teched Sneasel with the Corner attack could be used to help with this matchup, but if they play Escape Rope or Switch, they can break out of the Corner lock. However, this deck really can beat most decks in the format. Anytime a deck can dish out back to back OHKO attacks it will be a threat to win games. If you have a League Challenge or City Championship coming up, and are looking for something fun to play, I highly recommend giving this deck a chance.